Frozen Peanut Butter Banana Bites are a healthy treat for kids and adults with a light and creamy texture that is sure to satisfy your sweet tooth! Back in college when I was on Weight Watchers, I would make these Skinny Frozen Peanut Butter Whips all the time for a quick and simple 2 ingredient dessert made with Cool Whip and peanut butter. 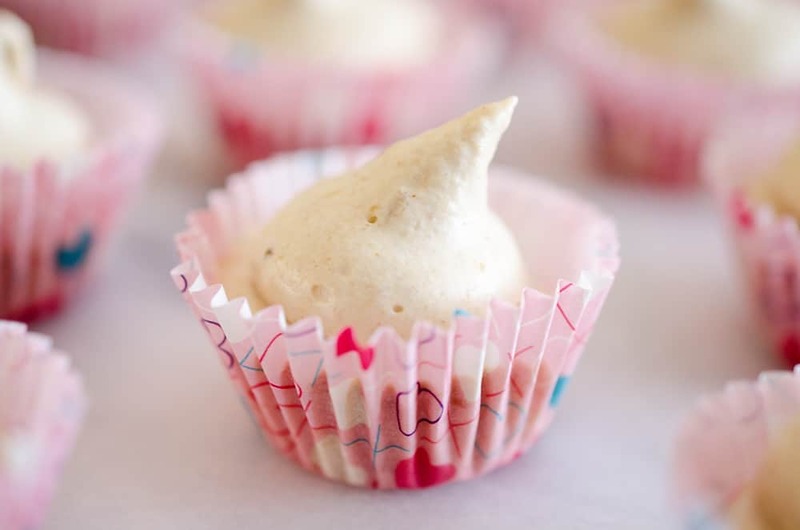 While I fully acknowledge Cool Whip isn’t the healthiest of ingredients, it was an easy way to make a treat that would satisfy my cravings for something sweet. As the years have gone on, I have continued to make this tasty snack, but eventually I started to experiment with it, adding new flavors. These Frozen Peanut Butter Banana Bites were born as a result of me trying to add a bit more nutrition to this recipe. 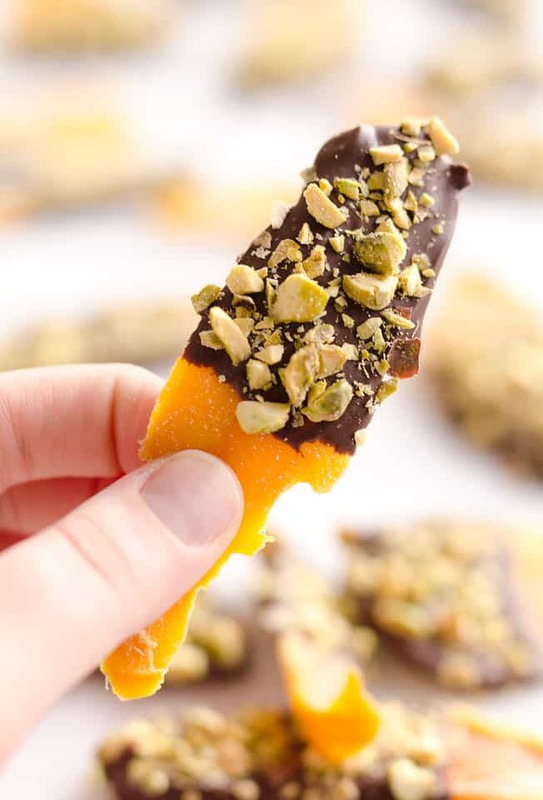 Frozen bananas are a treat that lots of people enjoy, so I figured, why not add them to these frozen treats?! I mashed up two small bananas and beat them with the peanut butter until they were nice and smooth. 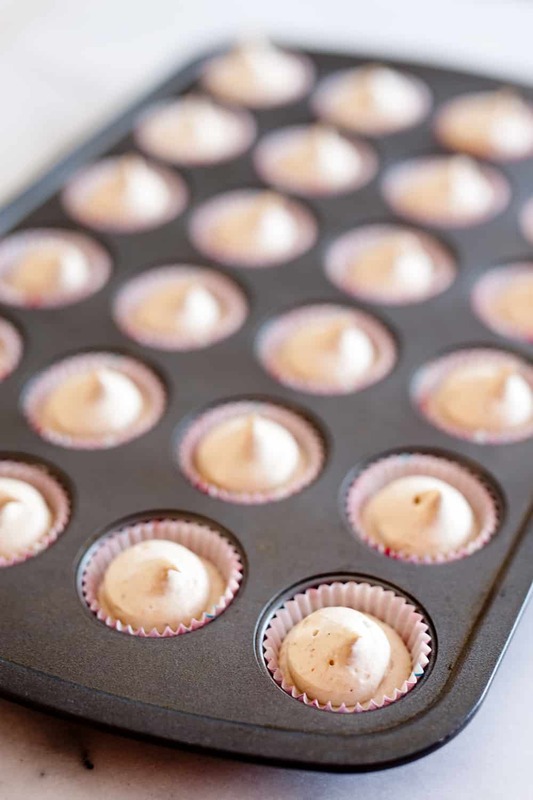 The mixture got folded into Fat Free Cool Whip and piped into mini muffin trays. The result was a batch of these Frozen Peanut Butter Banana Bites that were a new twist on an old favorite! Peanut butter and banana is a classic flavor combination so it was natural that it would go well in this dessert. The only question was texture. The ripe bananas blended in seamlessly with the peanut butter and Cool Whip though for a creamy frozen treat that was the perfect bite when craving something sweet. It also adds in all the healthy vitamins and minerals like potassium, calcium, manganese, magnesium, iron, folate, niacin, riboflavin, and B6 from the bananas! In a large bowl, mash the ripe bananas. Beat together with the peanut butter until smooth. 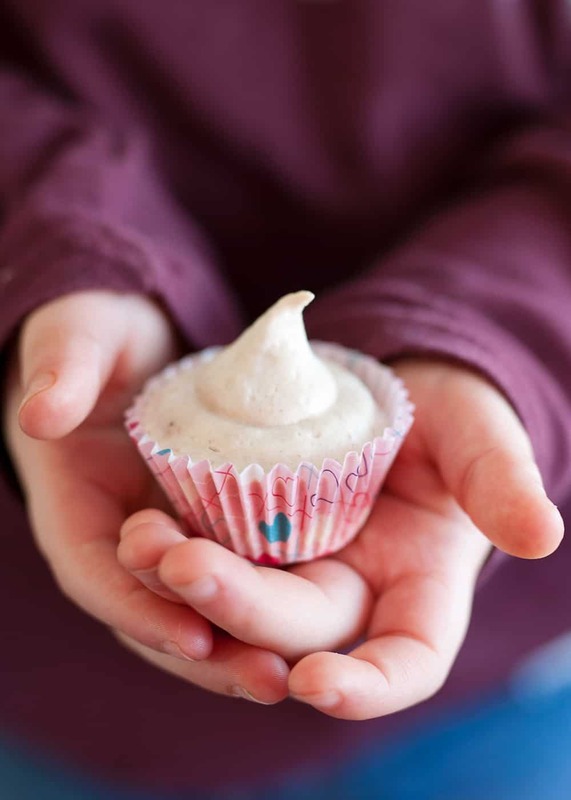 Fold together the peanut butter and banana mixture with ½ c. Fat Free whipped topping. Add the remaining Cool Whip in two separate portions, folding well after each addition. Woah! 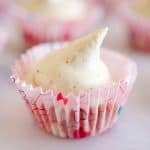 These look like a lovely little dessert that’s easy to whip up and delicious to enjoy. While I can’t eat them since I have a banana allergy, they would be LOVED by both my husband and daughter! 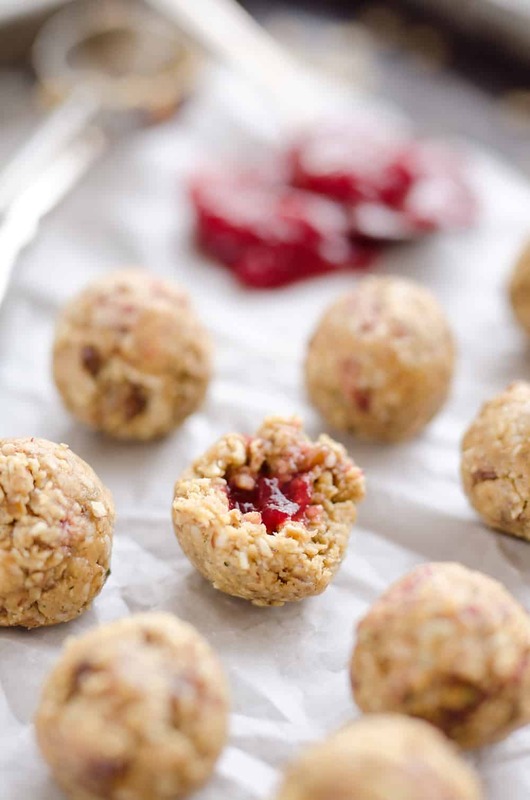 These looks delicious and easy!!! I can’t wait to try them!!! I love this treat! What a great idea! 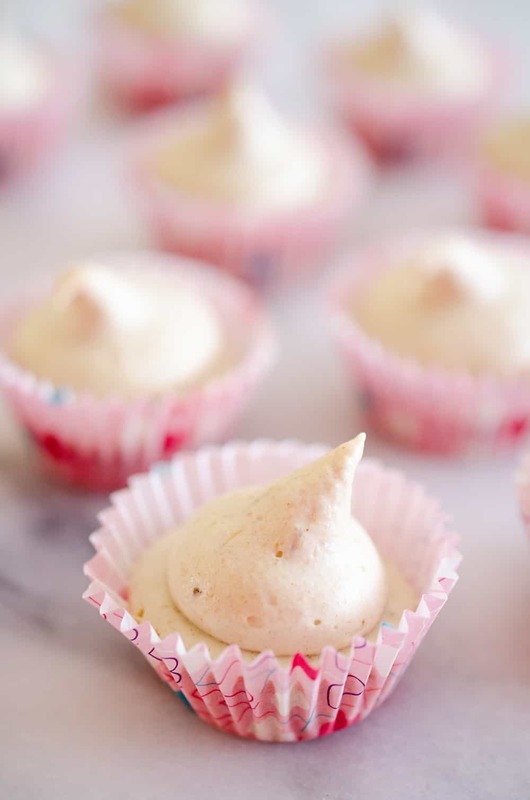 The kiddos would love these (me too – I love anything with Cool Whip). These look amazing and kids would love it so much!